Hopefully you have survived the holiday season so far without too much weight gain or worse, the flu. Unfortunately, you’re not out of the woods yet! New Years Eve is upon us and with it comes the last hurrah. If you’re like a lot of people, you are looking at tonight as one last night of debauchery before the resolutions kick in tomorrow, January 1st, 2015. So here are some tips to help you make your last push a little less taxing on your body. 1. Drink as much water as you can throughout the day today. 2. Drink a glass of water for every alcoholic drink you have tonight. 3. Eat more of the healthier foods that are available tonight. Shoot for guacamole if its available. It’s better to have more food in your stomach if you are drinking and worry about the calories tomorrow. 4. If you have them, take digestive enzymes a couple of times before you head out tonight and take some with you so you can keep them in your body. The enzymes will not only help digest all the food you are going to eat but they will also help you process the sugars in the alcohol. 5. Before you go to bed drink another glass of water with more enzymes. 6. Most importantly, DON’T DRINK AND DRIVE! Tomorrow morning, get moving. Go for a walk or an easy bike ride. If you really tie one on tonight, don’t exercise hard tomorrow right off the bat, just help your body’s natural process of getting rid of the toxins. Sweating it out is awesome but making your body work hard while it is trying to cleanse may be too much. Alcohol takes a hard hit on your B vitamins, so eating a whole cantaloupe can really help with that. Hopefully the January 1st means you will be eating better anyway, so just make sure you fuel your body with plenty of raw veggies. Some healthy alternative clinics actually use fresh green leafy juices to help people detox from addictive habits, so give it a try! This will help get through the (potential) Holiday Hangover tomorrow and push you toward a healthy 2015. 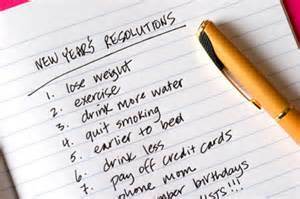 Enjoy your celebrations and look for our next post on how to keep your resolutions. 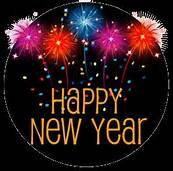 Have a Happy & Healthy New Years!